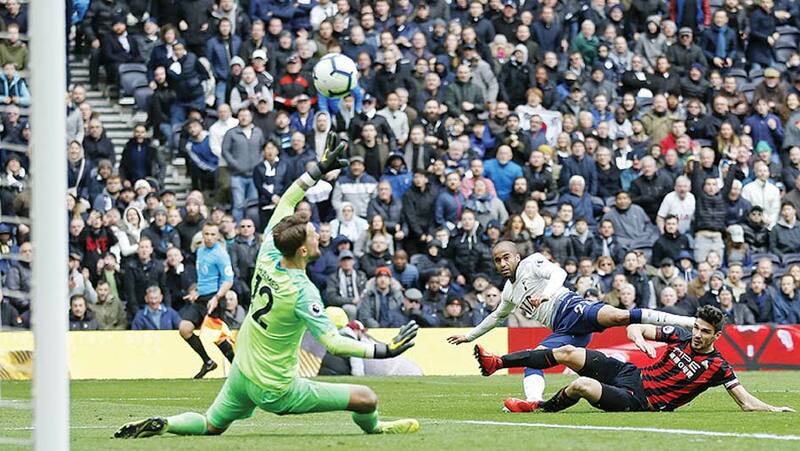 Tottenham Hotspur’s Brazil forward Lucas Moura struck a superb hat trick in a 4-0 win over relegated Huddersfield Town Saturday (Apr 13) to bolster the home side’s hopes of a top-four finish in the Premier League. Spurs were without the injured Harry Kane and Dele Alli but Lucas’s treble after an early Victor Wanyama goal were just reward for a dominant display against the bottom side. The win in the early game took Spurs up to third place, a point ahead of Chelsea and four points clear of fifth-placed fellow London rival Arsenal, which has a game in hand. Tottenham made seven changes from the side that beat Manchester City 1-0 at home in the Champions League in midweek, with an eye on the quarterfinal second leg Wednesday. Wanyama put Spurs ahead after 24 minutes with a fine individual goal after dribbling around goalkeeper Ben Hamer and tucking the ball into an empty net from a Ben Davies pass. Three minutes later the hosts scored again thanks to a fierce right-foot drive by Lucas that flew underneath Hamer after the excellent Moussa Sissoko set him up on the break. Spurs’ Fernando Llorente hit the bar after halftime and Huddersfield’s Juninho Bacuna had a late free kick tipped on to the bar before Christian Eriksen hit the post on the counter. Six minutes later Lucas controlled Eriksen’s cross and fired into the bottom corner past the helpless Hamer before rounding off the win by smashing into the top corner in stoppage time.